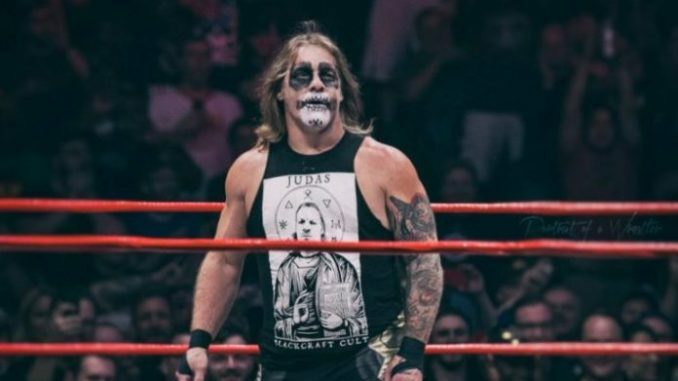 Chris Jericho discusses the circumstances behind his appearance at "All In", Nicco Montano has been pulled from the UFC 228 card in Dallas, a super tag match from Korakuen Hall, Shingo Takagi to wrestle as a freelancer, EVOLVE card tonight, MLW notes from their Ft. Lauderdale show, Impact review & more. **The live ASK-A-WAI that Wai Ting and I recorded at Starrcast is now available to members of the POST Wrestling Café. The near 90-minute show features tons of questions from the live audience covering lots of topics such as “All In”, the Wrestle Kingdom main event, ideas for Ring of Honor & New Japan’s card at Madison Square Garden, best and worst wrestling books, old Observers to read, and tons of other topics. Wai and I had a blast doing this show and we are looking at doing more live shows in the future as this one was a big success. If you sign-up for $6 per month, you have access to all the bonus audio we do, a custom RSS feed so you can access it on iTunes or wherever you listen & access to the library that goes back to December. **Braden Herrington & Davie Portman have a new edition of upNXT / Forever Young, which begins their coverage of the Mae Young Classic for the next two months. In addition to reviewing NXT and the Mae Young Classic, the two also share their stories from their trip to Chicago this past weekend and take your feedback & questions. **On Saturday, we will have a new edition of Chris Charlton’s EGGSHELLS Companion Podcast documenting each year of pro wrestling at the Tokyo Dome. On this week’s show, Chris will be joined by Joe Gagne to chat the year 2000. **This Sunday, I will have a review of the UFC 228 pay-per-view up on the main POST Wrestling feed. **On today’s edition of “Talk is Jericho”, Chris Jericho discussed his appearance at “All In” this past Saturday in Hoffman Estates and making it to his concert in Merriam, Kansas later that night. Jericho said he was originally approached by Cody earlier in the year to be on the show, but Jericho wasn’t interested in working any U.S. shows opposite the WWE but has since changed his mind. To make it work, they moved Kenny Omega’s match with Pentagon Jr. to third from the top instead of second and they moved their Fozzy concert to start a bit later so Jericho could make it. There was an idea for Jericho to show up as Burnard the Business Bear and attack Kota Ibushi, but Jericho was promoting a match with Ibushi and didn’t seem as high on that idea. He landed in Chicago around 5:30 to avoid running into fans because “Zero Hour” began at 5 pm central. He nearly had his cover blown when a fan on his plane took a photo of him, but Jericho’s buddy tracked down the fan and had him delete the photos of Jericho. **The Korakuen Hall show from Friday featuring an excellent tag match with Kenny Omega & Kota Ibushi defeating Tomohiro Ishii & Will Ospreay in 19:29. This match was off the charts with all four working hard and specifically placed a focus on Ospreay-Ibushi that seems targeted as a future junior heavyweight title match. The highlights saw Ospreay land a Space Flying Tiger Drop onto both Omega and Ibushi on the floor, lots of near falls with saves down the stretch as the audience was going crazy and concluding with Ospreay taking a power German suplex from Ibushi, Ishii saved and was sent to the floor before the Golden Trigger by Omega & Ibushi and Ibushi pinned Ospreay. This was on the higher end of tag matches this year and I highly recommend checking it out. Ospreay fit in naturally with the heavyweights and I’d love to see Ishii and Ospreay together for the Tag League in December. **The WWE kicks off their tour with the Raw crew in Birmingham, Alabama tonight and head to Mobile on Saturday night. The SmackDown crew begins on Saturday in Amarillo, Texas. Monday’s episode of Raw takes place from New Orleans with Triple H and Mick Foley advertised, plus Ronda Rousey & Natalya vs. Alexa Bliss & Alicia. Tuesday’s SmackDown & 205 Live tapings are in Lafayette, Louisiana. **Shingo Takagi, who has wrestled his entire career with Dragon Gate since coming out of their Dojo in 2004, has announced he will make the pivot and wrestling as a freelancer. Takagi will work with Dragon Gate through October 7th and start taking outside dates. Takagi is a four-time Open the Dream Gate champion, a five-time Open the Twin Gate champion and has won the Open the Triangle Gate championships on six occasions. While Takagi has ventured to other promotions, such as Ring of Honor (when they had a relationship with Dragon Gate) and Pro Wrestling NOAH, he has always kept Dragon Gate his home promotion. **Luke Harper and Tyler Breeze appeared on the NXT live event in Buffalo on Thursday night. Harper lost to Ricochet in a match for the North American championship and Breeze defeated Marcel Barthel. **Wednesday’s episode of Lucha Underground averaged 100,000 viewers on the El Rey Network, up from their season-low of 83,000 the week prior. It was Lucha Underground’s highest number since August 8th. **On Saturday, WWN Live will present a SHINE card at 3 pm with the SHINE championship tournament scheduled. EVOLVE 113 will be streaming live at 6 pm Eastern with Shane Strickland vs. Tracy Williams for the EVOLVE title, and the live audience will see Velveteen Dream vs. Darby Allin in the main event. **On Thursday’s Impact Wrestling broadcast, it was confirmed that Austin Aries vs. Johnny Impact will headline Bound for Glory on October 14th for the Impact title. They also announced a six-man “Final War” with Santana, Ortiz & Konnan vs. Hernandez, Homicide & Eddie Kingston for the pay-per-view next month. **MLW held their War Games event in Fort Lauderdale, Florida on Thursday with Court Bauer estimating they drew 907 people to the show. The show featured James Storm debuting for the company and attacking Tom Lawlor during his match with Joey Janela to end the match by disqualification. They are scheduled to return to the War Memorial in Fort Lauderdale on Saturday, January 12th. Their next card is “Fury Road” on Thursday, October 4th at the Melrose Ballroom in Queens, New York. **Tickets for Ring of Honor’s Final Battle event at the Hammerstein Ballroom will go on sale on Friday, September 14th at 10 am Eastern, plus an Honor Club pre-sale on Wednesday, September 12th at 10 am. Final Battle takes place on Friday, December 14th. **Lee Daly’s book on the history of PRIDE FC, “Before A Fall: A History of Pride FC”, hit their goal on Indiegogo and the project will move forward. We have an exclusive excerpt from the book for readers of POST Wrestling on the site. **Destiny Wrestling out of Mississauga has announced they will run their first live iPPV on Sunday, November 25th on FITE TV. **Fozzy has announced Canadian tour dates for November and December with the stops in Moncton, New Brunswick at Casino New Brunswick (Nov. 21st), Halifax, Nova Scotia at Cunard Centre (Nov. 23rd), Quebec City at Centre Videotron (Nov. 24th), Montreal at MTelus (Nov. 25th), Arnprior, Ontario at The John St. Pub (Nov. 26th), London, Ontario at the London Music Hall (Nov. 27th), Toronto at Rockpile (Nov. 28th), Thunder Bay at Crocks (Nov. 30th), Winnipeg at the Burton Cummings Theatre (Dec. 1st), Regina at The Exchange (Dec. 2nd), Edmonton at the Starlight Room (Dec. 3rd), and Calgary at The Gateway (Dec. 4th). **CM Punk will take part in a panel at the New York Comic Con on Friday, October 5th at the Jacob K. Javits Convention Center in New York City. Punk will join a panel to discuss horror director Don Coscarelli’s new book, “True Indie: Life and Death in Film Making”. The panel discussion takes place that day at 2:45 pm. **Molly Holly turns 41 years old today. -The card for Bound for Glory is beginning to take shape with two top matches announced with Austin Aries vs. Johnny Impact for the Impact title and a six-man with LAX & Konnan vs. The OGz & Eddie Kingston. The closing segment featured Impact confronting the new heel unit of Aries, Moose & Killer Kross. Impact had to carry the segment with a lot of comedy and it’s hit and miss. It concluded with the three beating down Impact and leaving him laying. They have five weeks to build this match up, it doesn’t feel like a big main event after week one, but a lot can be done from now until October. -Moose’s explanation for joining Austin Aries and turning on Eddie Edwards was because Edwards didn’t check on him in the hospital after suffering his concussion at the hands of Aries. Moose came off well in the heel role and was probably the right move after failing to beat Aries after all that build up for Slammiversary. Down the line, it seems a given that Moose will turn on Aries and go for the title again. The explanation wasn’t much but it spins Edwards off with an opponent where he is the clear babyface and he needs that. -Tessa Blanchard has grown into one of the best overall performers on the show. She isn’t Fenix or Aries inside the ring, but her presence is there and feels like a big deal and makes the Knockout’s title feel important. The match with Su Yung was a fine television match, I could have done without all the casket stuff at the end where Tessa was placed into one. This led to Allie and Kiera Hogan saving Tessa, but she didn’t want their help and kept her heel persona despite being attacked by Su Yung and undead bridesmaids. The announcers continually remind you of Rosemary being lit on fire for an eventual return program with Su Yung when she is healthy. -Konnan and The King (Eddie Kingston) met with their bosses, who were comically dressed up to look like they were auditioning for Goodfellas ‘The Musical’, one of which was Ricky Johnson (Dwayne Johnson’s uncle, who lives in Toronto). They set up a final war between the two groups with Konnan and Kingston added to the match making it a six-man for Bound for Glory. Konnan and Kingston are very good in their roles and feel authentic. -The funniest line of the show came when Don Callis asked about Josh Mathews having a third eye, referring to Matt Sydal’s character. Mathews responded, “We tried that, it didn’t work”, referring to his stint as Sydal’s manager this past year. -They are also building towards a six-man with Sami Callihan & oVe against Pentagon Jr., Fenix & Brian Cage. -Overall, I found this to be a better episode than the recent shows and the product is at its best when they have a big show to build towards and tend to struggle for that shows in between. She will be fine in a few days. The UFC medical team was called in to evaluate her this morning during the process of her weight cut. They determined that she had to cease cutting weight and be transported to and treated at the local hospital for issues regarding her kidney function. I am not surprised about this situation with Nicco. And I told it before, she can pull out from the fight at anytime. She was trying to avoid this fight several times already. It is my 3rd preparation for this fight. Looks like It was her plan from the beginning, to show up for the fight week, to build up her name, speak confident and secure, and then escape from the fight in the last minutes. She was speaking about Fighting spirit and character….What kind of fighting spirit she is talking about? I don’t believe in a version about health issues, she was looking totally fine in open work out and media day. Her actions are totally unprofessional! First of all I am very sorry for all my fans who came to support me! I am very upset about all this happening. I was preparing for this fight hard and serious. My plan was to leave Dallas with the belt. I will keep moving forward. And will seize the next opportunity to take what is mine. Thank you everyone of my dear friends for your support! **Former UFC fighter Erick Silva has signed with Bellator MMA. Silva was the Jungle Fight welterweight champion when signed with the UFC in 2011 and amassed a record of 7-8 with the organization. Silva left the company earlier this year and last fought for LFA in July where he defeated Nick Barnes with a first-round armbar.